Do not worry, Dragon 2 will NOT win. There, there. For me, this is the most nail biting category of the night. I literally don’t care what they do in every other category – This is the award that will make or break this year’s Academy Awards. Also, let me point out that the first three films I mention most likely won’t factor into the race at all, so it doesn’t really matter what order I put them in. It’s a Studio Ghibli/GKids production. That was a good sign for a nomination. But not many people have seen the film, and those who have tend to have mixed reactions. I’m gonna assume that this film won’t factor into the race at all. Look, if Laika couldn’t win for Coraline & ParaNorman, I don’t see how they can win with this film, which people mostly agree is inferior to the first two. Maybe it’ll get some votes, but I just can’t see this pulling off a victory. Those who have seen this film have given it FANTASTIC reviews. I haven’t seen it, but I’ll have to take their word for it. And thus, it will get votes. But because it hasn’t won anything up until this point, and because of the film’s limited release, I’d say it’s not gonna win. I really, REALLY need this to not win. I seriously don’t know if I could live the rest of my life knowing that this film bears the honor ‘Academy Award Winner.’ While it did win the Golden Globe and the Annie, the simple truth is that the Academy doesn’t like to honor sequels in this category. In fact, they don’t like to honor sequels in ANY category. And when you take it into consideration that the first film didn’t win, and that this is a planned trilogy, wouldn’t it make more sense to award the third one, as a way of rewarding the whole Trilogy, much like Lord Of The Rings? The film has been on a surge as of late. It won the animated categories at the VES and the CAS, which honor effects and sound design in film. Now, I would actually understand if Dragon 2 was awarded for its effects and its sound, but the fact that Big Hero 6 won shows that the film has support. Plus, the film has a lot of supporters. 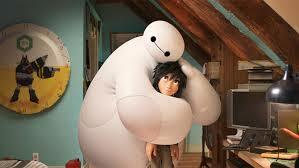 As this article on GoldDerby put it, “Movies with the most heart often win Oscars and Big Hero 6 arguably has the biggest heart of all.” I really don’t want to be wrong on this one, but I have to stick with my gut. 3 and 4.) The Tale Of The Princess Kaguya & Song Of The Sea. Yes, I haven’t seen them, but at least they didn’t cause me any pain.